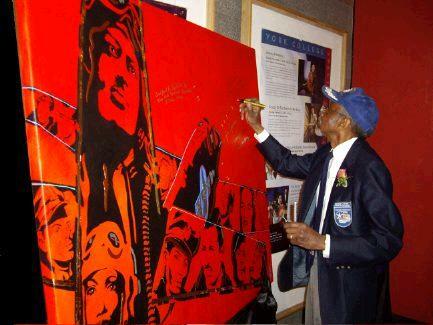 Airman Wilfred R. DeFoor Sr. signing "Red Tail"
A roaring standing ovation greeted the historic gathering of Tuskegee Airmen when introduced by CNN'S Soledad O'Brien at York College in Jamaica, Queens. 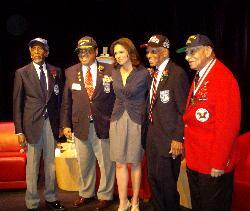 Tony award-winner Brian Stokes Mitchell thrilled the audience with his musical versatility in tribute to the first African-American squadron who saved countless lives escorting bombers in their signature Red Tail aircraft over Europe and Africa in WWII. 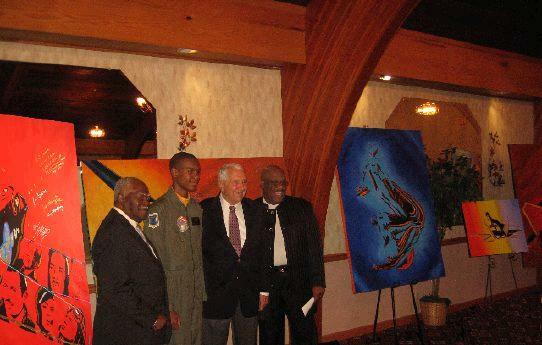 At the private reception following the concert, Airmen signed "Red Tail," the expressionist painting by Artist of Energy Mimi Stuart. 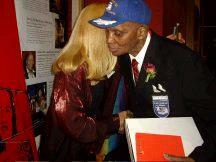 Broadway's Mitchell is seen signing above the portrait of his father, Tuskegee Airman George Mitchell. 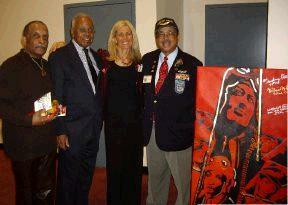 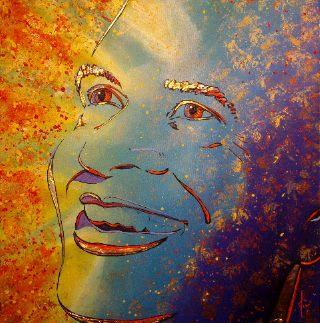 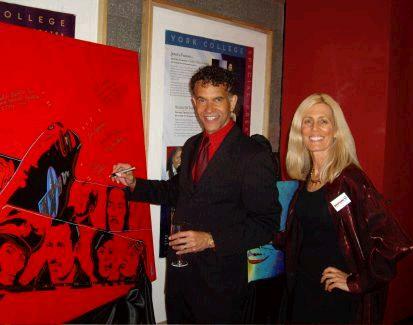 Brian Stokes Mitchell signs "Red Tail" above the portrait of his father, Tuskegee Airman George Mitchell, in his honor.